He&apos;s her sweet escape! 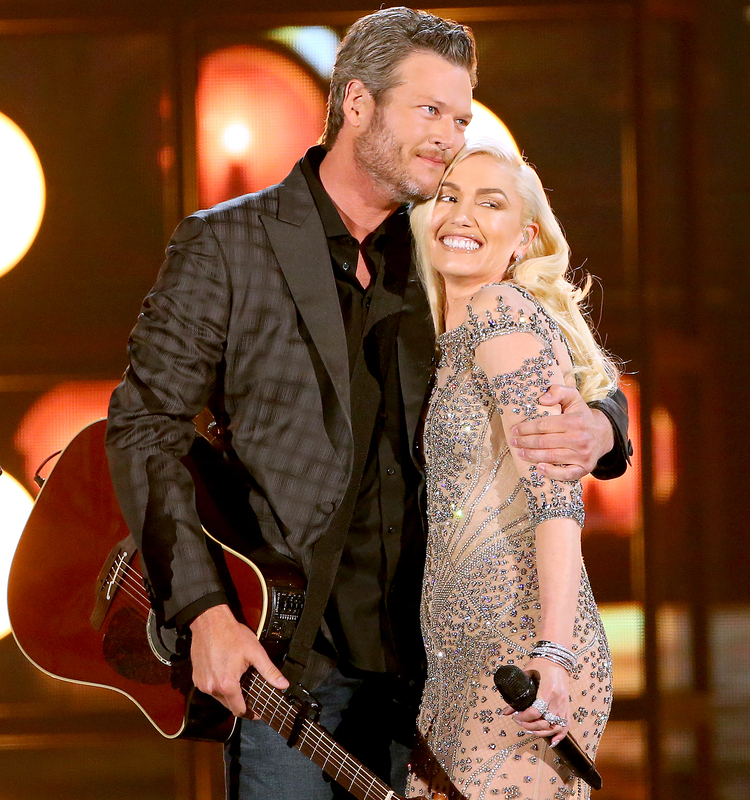 Gwen Stefani still can&apos;t believe that she&apos;s dating country superstar Blake Shelton. The "Misery" singer opened up exclusively with Us Weekly about their romance during the launch of Samsung’s two new fitness wearables, Gear Fit2 and Gear IconX, in NYC on Tuesday, June 2. "I&apos;m our biggest fan," Stefani, 46, told Us. "I actually feel like I&apos;m not in my own life, because I&apos;m not. I&apos;m in a different life all of a sudden," the No Doubt frontwoman added. "I&apos;m so blessed and I feel like I believe in my path. Now there&apos;s all these miracles around me!" Us exclusively confirmed in November 2015 that the Voice coaches were an item following their respective splits from Gavin Rossdale and Miranda Lambert. Stefani ended her 13-year marriage to the Bush frontman in August, and it was later revealed that he was cheating with their nanny, Mindy Mann. (The exes are parents to sons Kingston, 9, Zuma, 7, and Apollo, 2.) One month earlier, Shelton, 39, finalized his divorce from Lambert after four years of marriage. "There was so much of an earthquake in my life. How did I survive that?" Stefani said to Us. "I don&apos;t know, but here we are and my life is full of so many blessings. I&apos;m trying to really just be positive and grateful and look at it all like this was all supposed to happen." Their new romance even led to collaborations in the studio. Last month, they performed their new song, "Go Ahead and Break My Heart," at the Billboard Music Awards. "Trust me, I still can&apos;t believe that happened and is still happening," Stefani told Us of Shelton and her new album, This Is What the Truth Feels Like. "For whatever reason, I was chosen to be in this position, and I&apos;m so honored and more confident. And I look at it like it always works out."